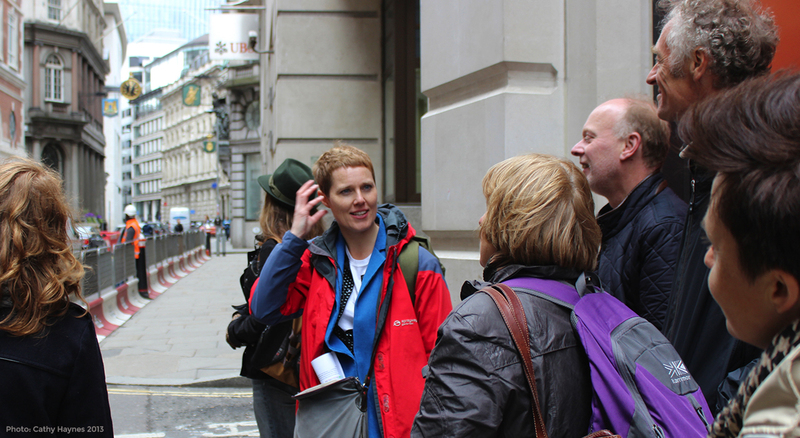 Join us on a two mile sonic stroll through the City of London. From church bells to road crossing beeps, we’ll turn an inquisitive ear to the noises that control, affect and define us. We’ll tune into sounds of the past, like the birdsong that triggered a bucolic hallucination and the metallic rasp that inspired a street name. And we’ll investigate how London’s soundscape is changing today as we echolocate through back alleys and round skyscrapers. The London Ear is led by Rosie Oliver. A keen London listener, Rosie divides her time between leading Dotmaker walks and producing spoken audio features. Listen to Rosie introduce the Sunday version of the walk. 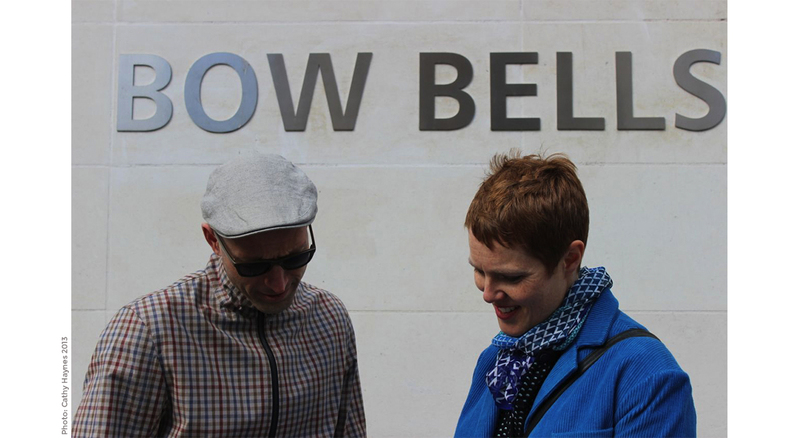 The London Ear guided walk blends real-time listening with stories about sounds from the City’s past and insights into how London might sound in the future. The walk contains stories, insights and surprises for those whose ear isn’t technically trained alongside the more musically minded. Tour goers will be guided to refine their ear for the City and pay attention to what they usually filter out. Like all our walks, we limit the group size to no more than 10 people to keep things interactive and allow plenty of opportunity for discussion. An amazing tour … Rosie was highly prepared and deeply researched – she really knew her stuff. She had the most fantastic energy and kept us engaged for some two and a half hours … I cannot recommend this tour more highly. … just incredible. 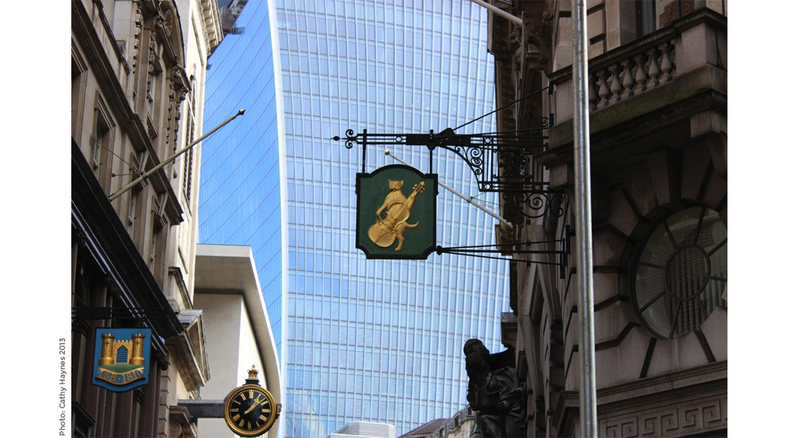 Walking round the City of London learning about the history of the area through sounds – from stock exchange to poetry to bells. Really rich and enjoyable. 2019: Sunday 10 March, 12 May, 30 June, 15 September, 10 November. Meet: 11am by St Paul’s Tube Station. End: Around 1.15pm near Liverpool Street station. Tickets: £18 adults; £15 over 65s and full-time students with proof of status. Price includes a noisy snack. Booking is essential, as the group size is limited to max 10 people.